Are you looking for something different to plant in your herb patch this year? Many lesser-known medicinal herbs make easy-to-grow, attractive additions to any herb garden or container. They also come with a variety of unique uses and health benefits. The following are some under-used herbs that deserve recognition. You can generally find seeds or starter plants for these herbs at your local garden center or online. Uses: Ashwagandha has been used in Ayurvedic medicine for thousands of years to increase vitality, reduce stress and inflammation, and improve quality of sleep. Ashwagandha is what’s known as an adaptogen, a type of plant that’s said to help your body deal with stress and maintain physiological balance. The roots are typically harvested at the end of the growing season, dried, then added to food. You can also make tea out of the leaves or roots. Hardiness: USDA Zone 9. It can be grown as an annual or indoor plant in colder climates. 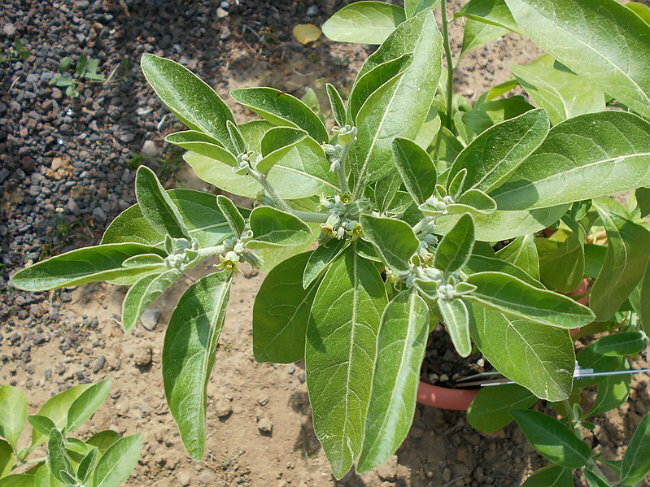 Growing Tips: A mature ashwagandha plant is a small shrub that grows about 3 feet (1 meter) tall in one growing season. It can reach 6 feet (2 meters) over time in hotter climates. Ashwagandha grows well in hot and dry conditions and makes red berries you can collect for seeds to grow new plants. Uses: Brahmi is a Sanskrit word that roughly translates to “that which gives knowledge of Brahmin, or supreme reality”. Traditionally, it’s used in its native India to assist with meditation, concentration, memory and overall brain health. Modern research has also proven that brahmi improves cognitive function. The plant is completely edible and can be steeped into a tea or added fresh to salad, pesto or other dishes. Hardiness: USDA Zone 8. It can be grown as an annual or indoor plant in colder climates. 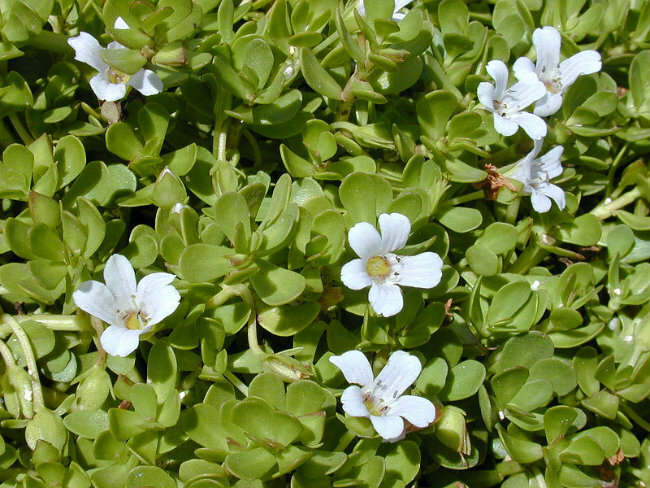 Growing Tips: Brahmi is a creeping, succulent plant that only grows up to 6 inches (15 centimeters) tall. It’s easy to care for and prefers full sun and moist conditions. A healthy plant tends to grow quickly, which means you can regularly harvest branches to eat. Uses: Gotu kola is used in Chinese and Ayurvedic medicine to help heal wounds, improve circulation, enhance longevity and promote mental clarity, focus and calmness. You can add the leaves to smoothies, salads, soups, sauces or even juices. 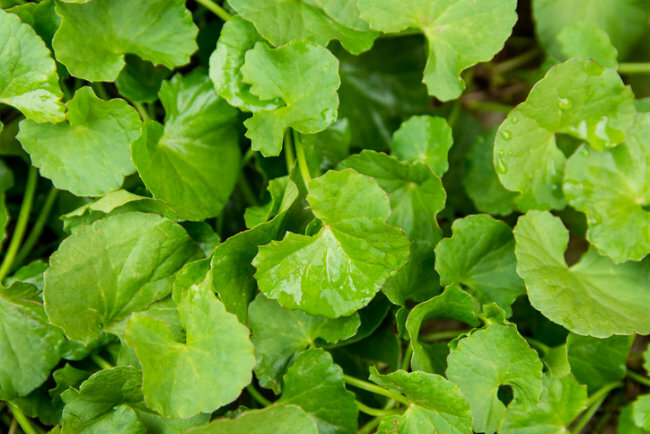 Gotu kola tastes similar to parsley, so it goes well in many different dishes. Hardiness: USDA Zone 7. It can be grown as an annual or indoor plant in colder climates. Growing Tips: Gotu kola is an easy-to-grow creeping plant. If growing it indoors, give it a fairly shallow, wide pot to allow it some growing space. Outdoors, it can simply be left to ramble. It prefers a location with some shade and evenly moist soil. Avoid letting it dry out, as it can wilt quickly. 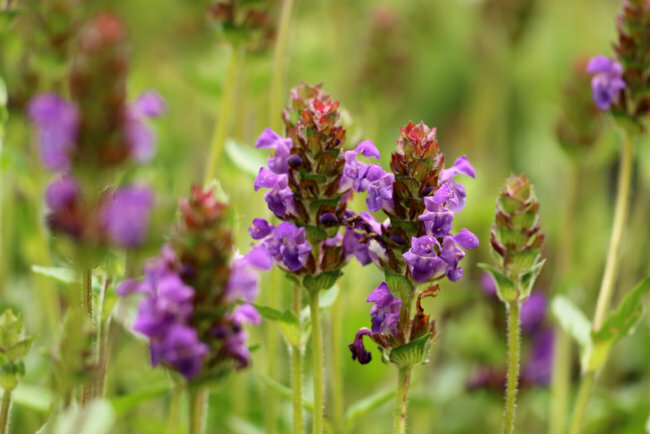 Uses: Also known as self-heal, this herb has been used for a wide variety of issues for centuries. It can be applied externally to help heal cold sores and other herpes outbreaks, as well as wounds, ulcers and toe fungus. It can also be taken internally to assist with allergies, digestive disorders and even diabetes. The entire plant is edible and you can add it to foods or make it into tea. To use it on cold sores or wounds, simply crush fresh leaves and apply directly to your skin. Growing Tips: Heal-all grows best in cool to moderate temperatures and partial shade. It can spread vigorously, so plant it along an edge of concrete or in a pot to help contain it. Heal-all blooms with attractive white or lavender spikes during summer. Keeping it deadheaded will help encourage blooming and prevent self-seeding. Uses: Since ancient Roman times, horehound has been used as an expectorant to treat coughs, colds and other respiratory ailments, as well as a digestive aid. Today, horehound is what gives many cough candies and syrups their distinctive flavor. The leaves and stems can be dried and kept year-round to make your own teas for respiratory and digestive support. 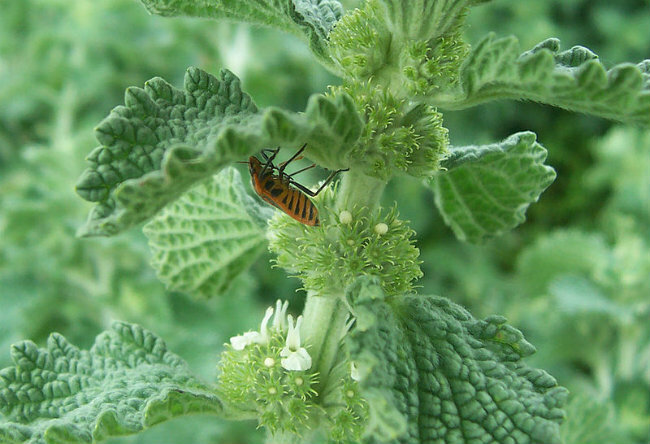 Growing Tips: Horehound grows wild throughout most of the world. You can grow it at home from either seed or plant divisions. Horehound spreads vigorously, so make sure you plant it somewhere with lots of room, or plant it in a pot to keep it contained. Trimming off the flowers before they set seed will also prevent its spread. Uses: This adaptogenic herb is native to northern regions of the world, including Tibet, Russia and China. 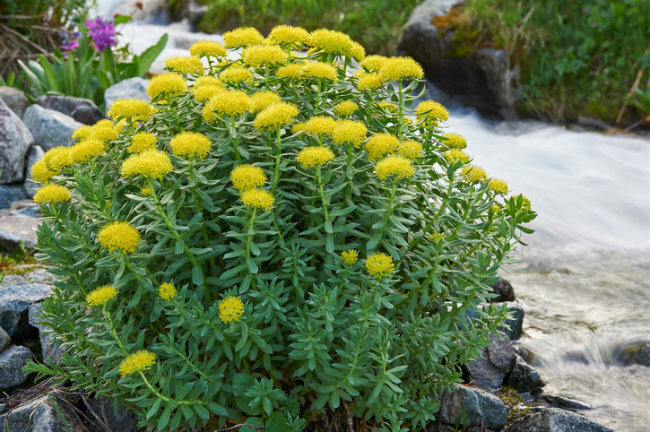 Rhodiola is known to help combat anxiety by promoting calmness and mental stamina. It can also be used to improve sleep and boost your immune system. 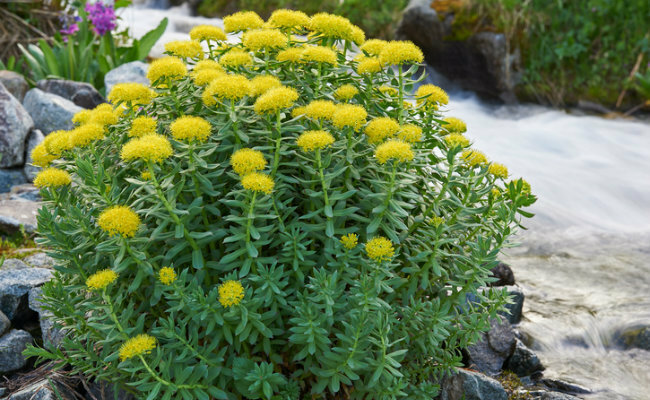 The roots of rhodiola are harvested for medicinal use and eaten fresh or dried, or brewed into tea. Growing Tips: Rhodiola is an attractive, low-growing plant similar to sedum. It requires freezing temperatures during winter, so it will not grow over USDA zone 8. Rhodiola prefers full to partial sun and well-draining soil. It grows well from seed, although the seeds will need a cold period before germinating. Check the seed package for detailed germination instructions. Uses: Valerian is a traditional sleep aid and pain killer, as well as helping to calm nerves during stressful times. Also, valerian is not known to be habit-forming like many modern pharmaceutical medications for sleep and pain control. The roots are used medicinally and are typically dug up after at least two years of growth. They can be used fresh or dried in foods or tea. Growing Tips: Valerian has tall, white flowers with a beautiful scent. They also make great cut flowers. Keeping your plants deadheaded will prevent them from spreading too much by seed. 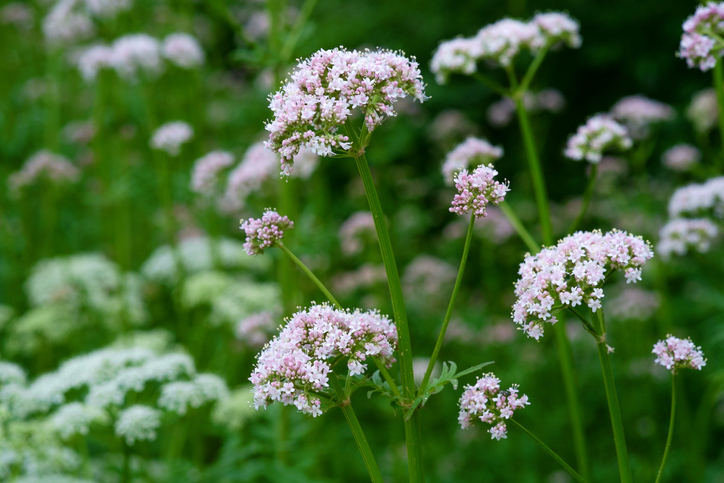 Valerian is also much-loved by dogs and cats, so you may want to put a barrier around small plants to protect them until they’re big enough to withstand your pets’ attention. 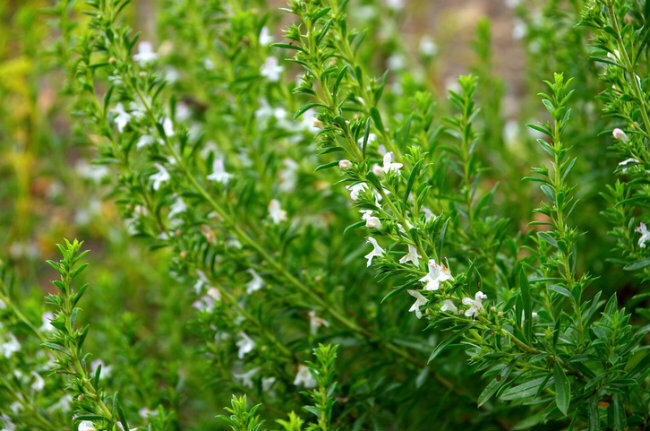 Uses: Winter savory has natural antiseptic properties that can help stop infections from bug bites and other wounds. Crushing the fresh leaves into a poultice and applying this to bug bites will help them heal as well as reduce itching. Winter savory tea can help sooth a sore throat or ease indigestion. Winter savory has a nice peppery flavor and goes well in cream soups, bean and vegetable dishes, and herb butters. Growing Tips: Winter savory is a semi-evergreen perennial that grows up to 2 feet (60 centimeters) tall. It has white blossoms in summer that bees and other pollinating insects love. Winter savory can handle a variety of conditions, but does best in full sun and well-drained soil. Before adding these or any other herbs to your diet, consult with your doctor first to make sure they do not interact with your current medications or health conditions. If I ever retire ... it will be very nice to dedicate myself to these things. Thank you.